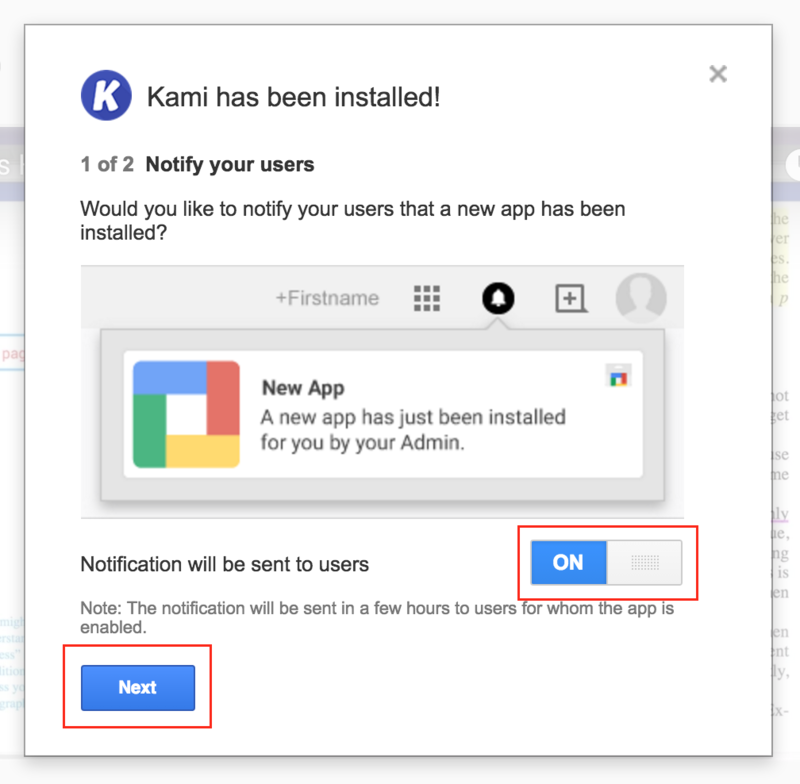 This tutorial will show you how to deploy the Kami extension and app to all your users. You can see why we recommend deploying both the App and the Extension here. 1. 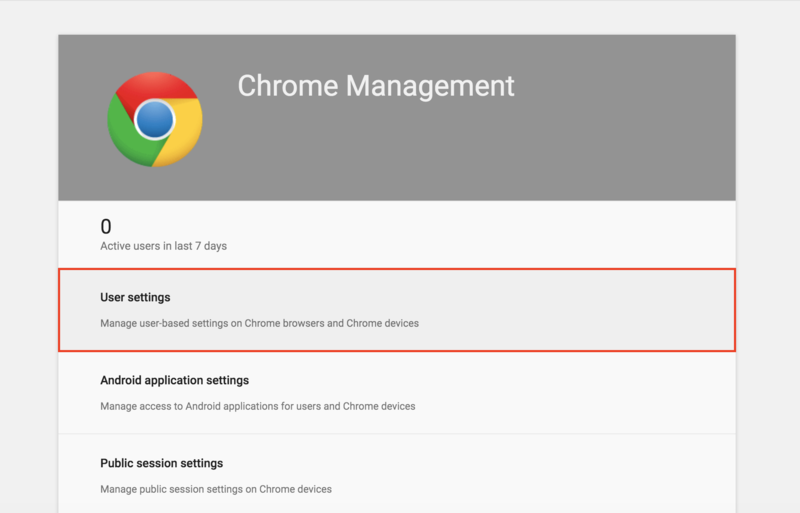 Go to Google admin console (http://admin.google.com/), and sign in using your administrator-level Google Apps for Education (GAFE) account. 5. 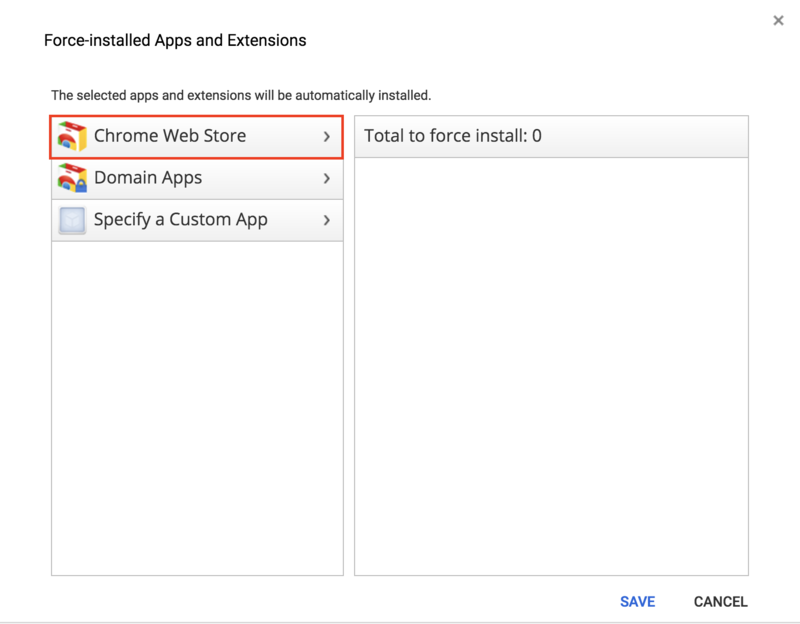 Navigate to the "Apps and Extensions" section, then the "Force-installed Apps and Extensions" subsection, then select "Manage force-installed apps." 6. 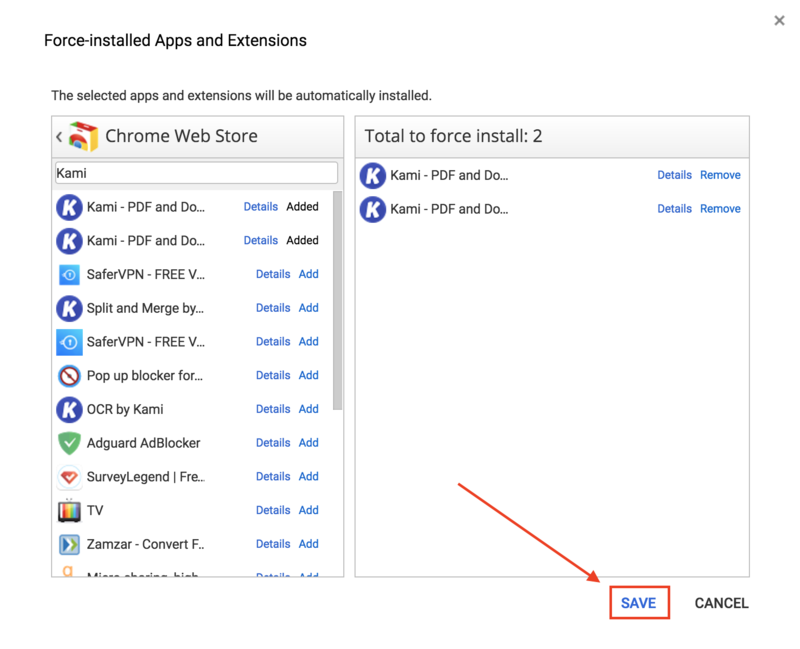 Select "Chrome Web Store." 9. Select "Save" at the bottom of the screen. 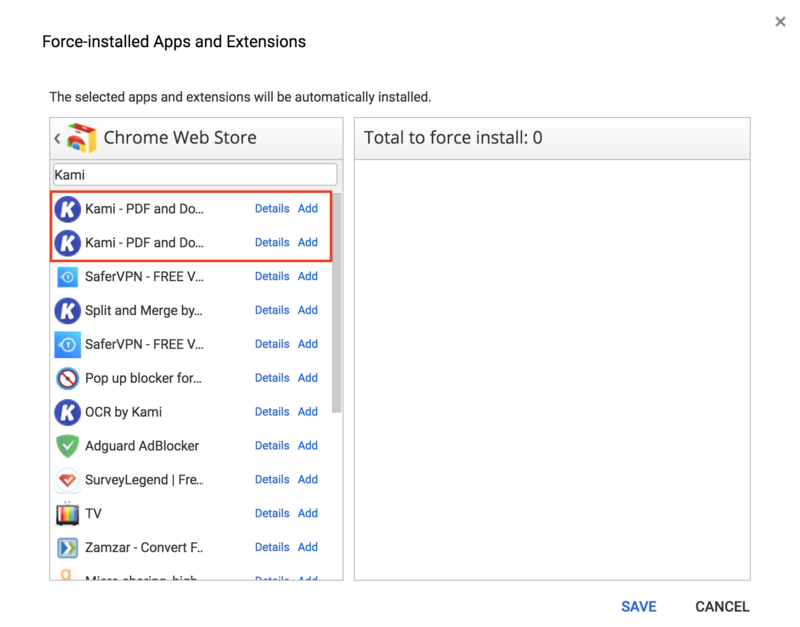 We recommend blocking other PDF viewers that may confuse students, such as DocHub. 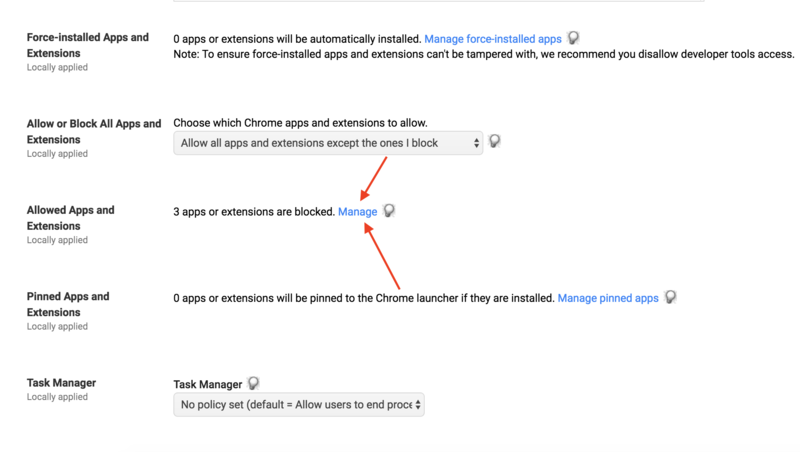 You can do this by repeating steps 1-4, clicking "Manage" under "Allowed Apps and Extensions," and then adding the apps you wish to block. 1. 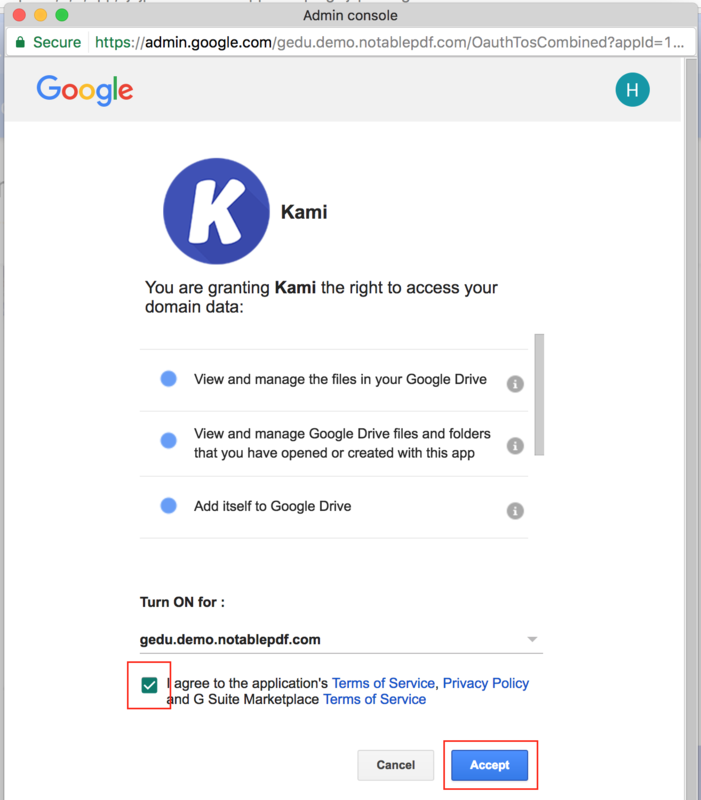 Go to the G Suite Marketplace for Kami. 4. Review the terms of service, specify if you want to make the app available to your whole domain or to a specific team or department, check the agreement box and click Accept. 5. If you want to send users notification that the app is available, set the Notification will be sent to user setting to On and click Next. 6. 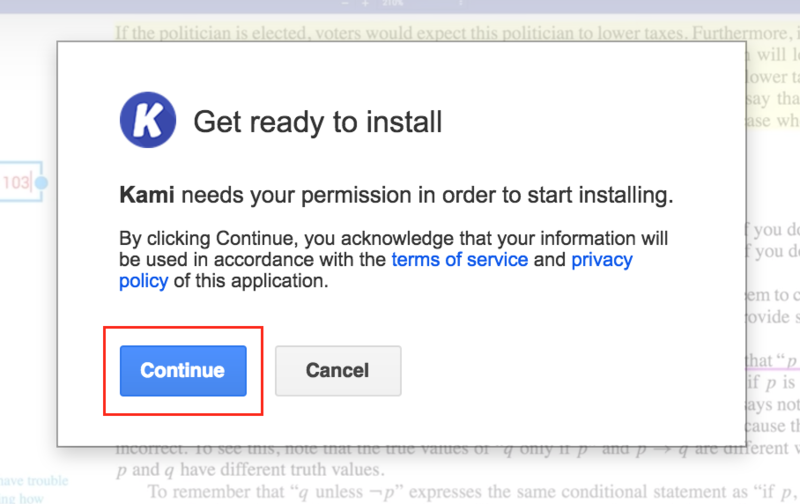 When installation is complete, you can click Done.